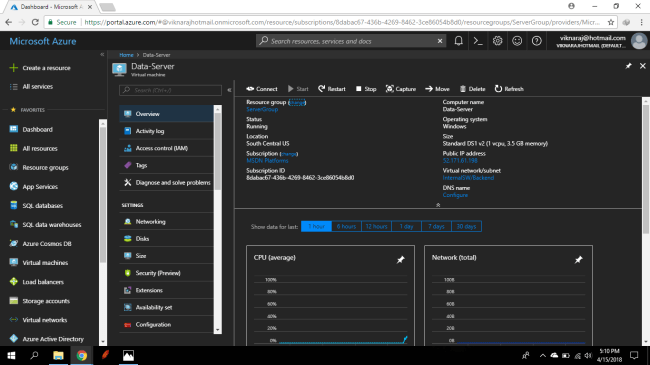 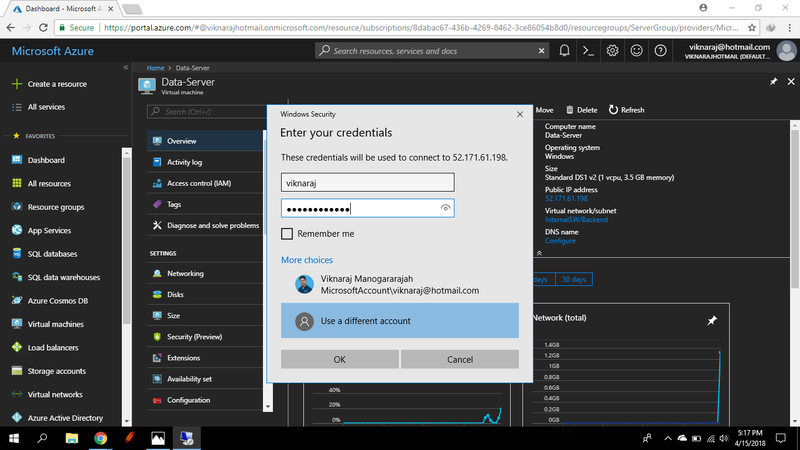 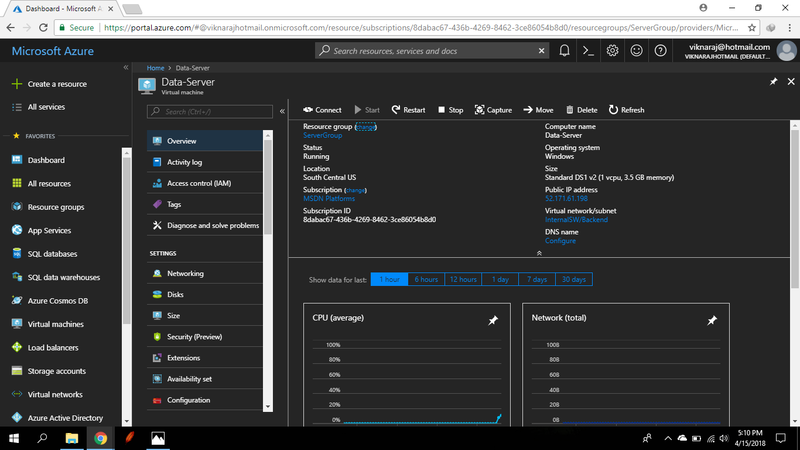 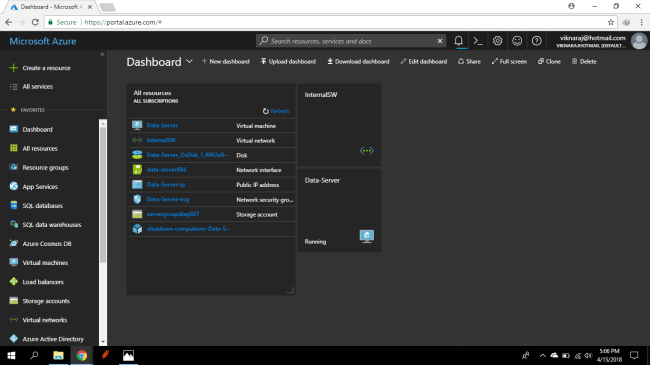 Login to your Azure Portal, and then select the Virtual Machine that you want to access, in this demo I'm going to select Data-Server. Click the Connect on the top of the Data-Server window, and then select RDP and click Download RDP File. 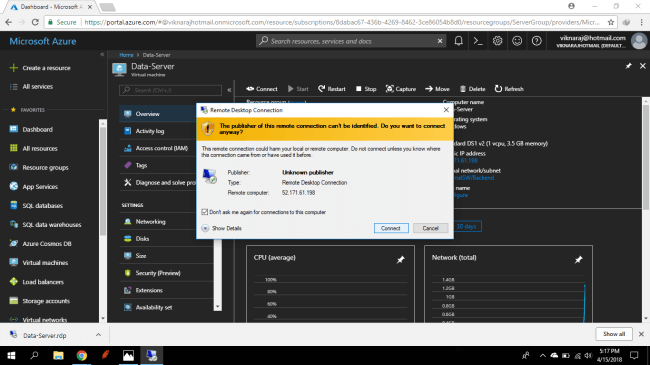 After clicking this link, your Remote Desktop connection will be automatically downloaded. 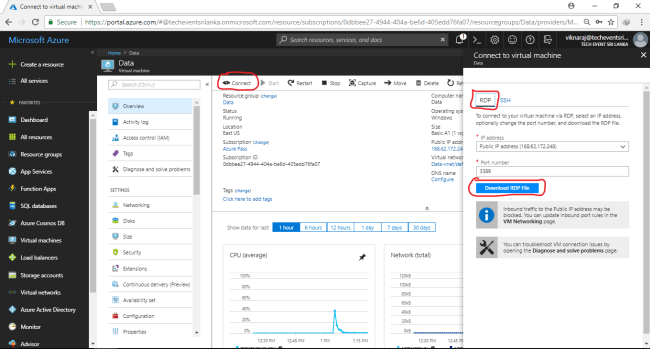 Click the Data-Server.RDP Connection, and click Connect. In this pop-up you need to click More Selection and then enter your Username and Password, then click Ok. 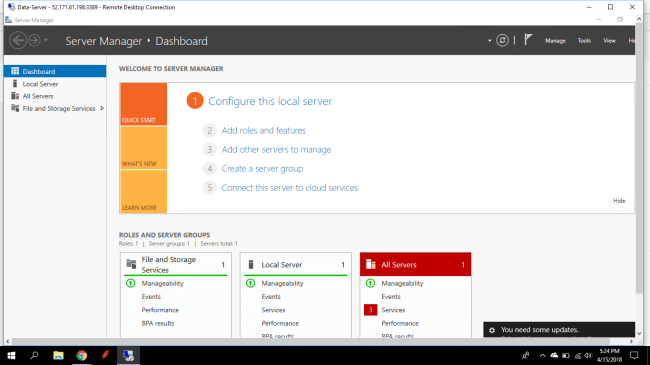 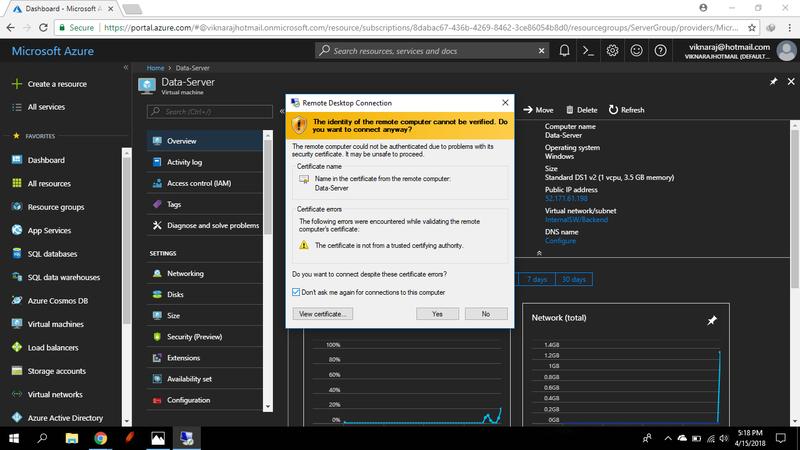 In this pop-up click Yes and now you can Access your Azure Virtual Machine.